of multiple trauma patients are suffering from hypothermia upon admittance to hospital, with a very high risk of worsening their condition. Preventing the threat of hypothermia at the pre-clinical stage when rescuing people who are trapped is of fundamental importance, and is often difficult to achieve within a limited timeframe. According to studies conducted by experts, up to 66% of multiple trauma patients are suffering from hypothermia upon admittance to hospital, with a very high risk of worsening their condition. which allows for rapid, simple, effective intervention, without interfering with other activities going on at the same time – helps to provide the same immediate warmth and wellbeing as the sun. In addition, the ergonomic characteristics of the appliance make it easy for rescuers to use manually, and also allow for use on telescopic supports on the ground. At the request of experts and researchers, Star Progetti Tecnologie Applicate Spa has invested its technology and experience in infrared appliances to come up with a product able to prevent hypothermia in the various situations in which it can arise. On occasions such as accidents or natural disasters, it is sometimes necessary to rapidly set up field tents to house first aid surgical equipment and to host patients for several days. 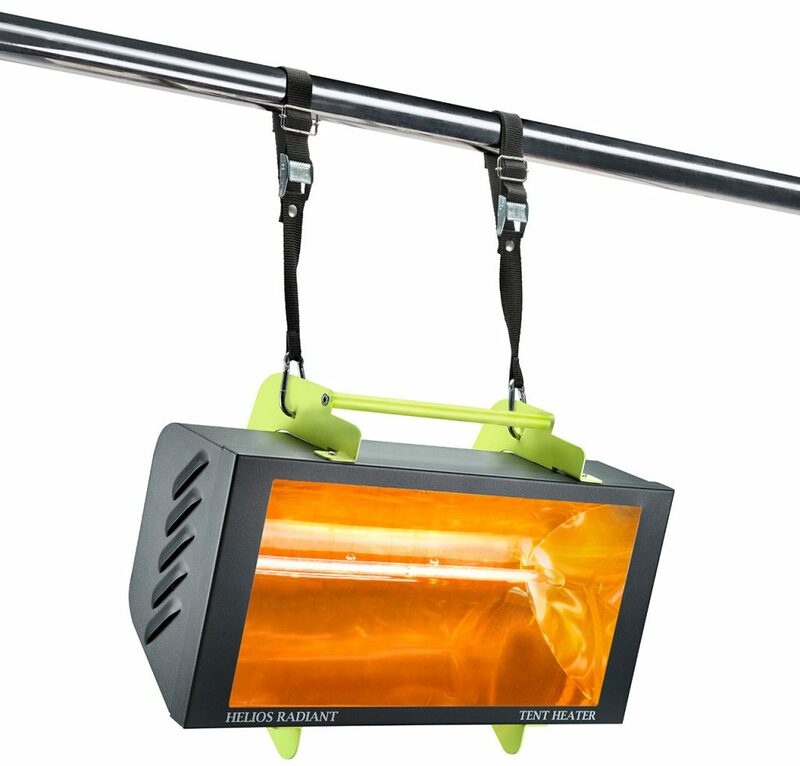 The Helios Radiant® Safety Glass Tent Heater, an IRK infrared electrical appliance, is the perfect solution for immediately heating up cold, damp areas inside tents or in protected environments. The heat and wellbeing provided for people in the tents are immediate, and the appliance also solves the problem of dampness, the most negative aspect of such situations. 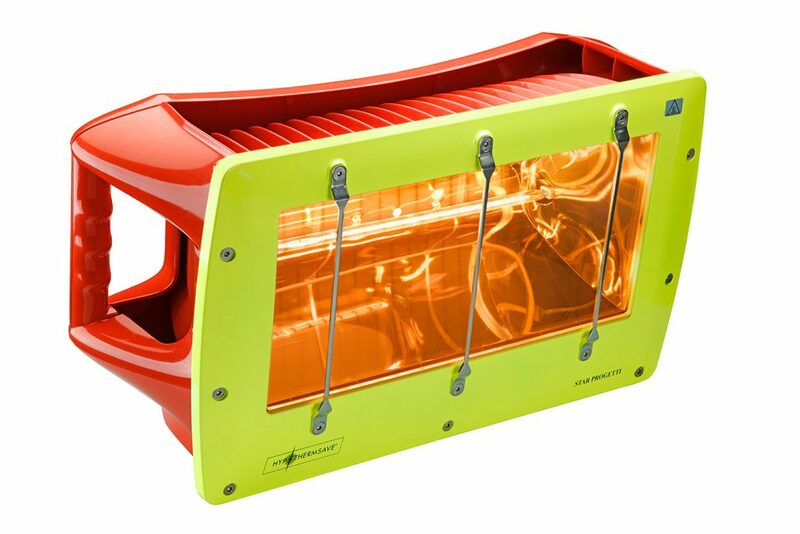 Helios Radiant® Safety Glass Tent Heater may be combined with the tent frame by the supplied fittings. Helios Radiant® Safety Glass Tent Heater has been designed and made by Star Progetti has been used for many years throughout the world, for its safety and efficacy. 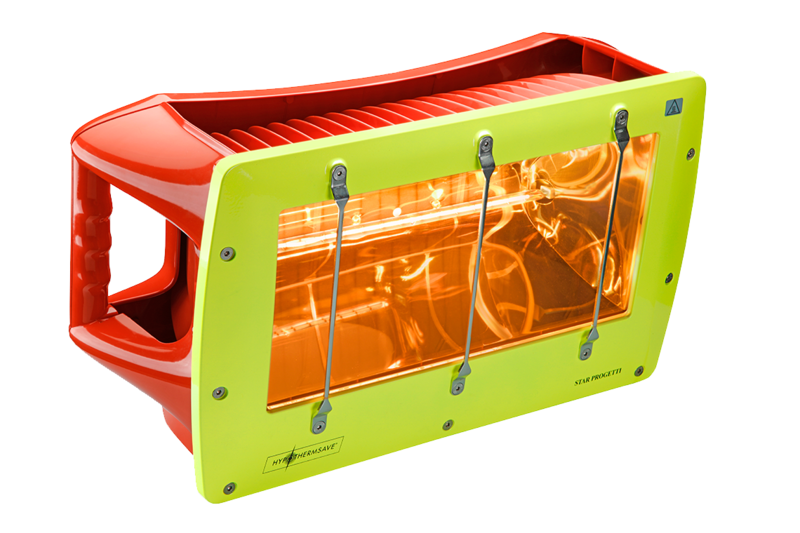 The Safety Glass Tent Heater model has been designed to meet the specific needs of the “rescue” sector and for the problems specific to tent cities.